The Traditional Watercraft of the Australian Aboriginals. The traditional water craft of the Australian Aborigines fall into three main groups; swimming or riding floats, rafts, and bark canoes. While at European contact, dugout canoes were in use on the northern coasts, these were a comparatively recent introduction, influenced by contact with Indonesian and Melanesian mariners. The basic swimming or riding float was used as a personal floatation device when crossing large stretches of water, or sometimes as a platform for fishing. Crucially, these craft were instrumental in the development of swimming, commonly practised both on the coast and on inland waters of Australia. In the temperate zones, swimming was a standard skill of indigenous mariners, and the accepted method of self-rescue in the case of misadventure. 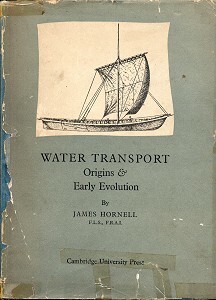 James Hornell, in his definitive work on the origins of watercraft (1946), noted that the surf board of Hawaii was a direct descendant of the ancient log swimming float. The raft, the combination of several riding floats, was generally used for the occasional transport of multiple persons or goods. The most significant occasion was around 50,000 thousand years ago, when Aboriginals first navigated the straits between South East Asia and Australia, a distance of perhaps 90 kilometres, and the first definitive benchmark in maritime history. Variations of the bark canoe were widespread across the eastern half of the continent, with the most simple designs found in the inland of the south and more complex models on the northern coasts and islands. Although commonly called a bark or reed canoe, the catamaran of Tasmania was a specialised version of the raft, with ancient parallels on the Nile and across the Pacific. The first entry is D.S. Davidson's Chronology of Australian Watercraft, which is highly detailed, erudite, and a rare overview of the diverse range of aboriginal watercraft. Thereafter, the entries in chronological order. Text and illustrations from Journal of the Polynesian Society Volume 44, Thomas Avery &​ Sons, New Plymouth, NZ, 1935. 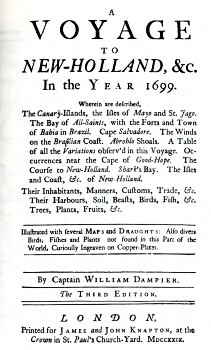 1700 William Dampier: Voyage Around the World. 1770 James Cook: HMB Endeavour. 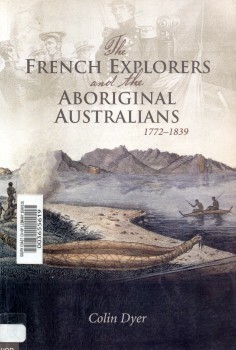 Extracts from the Journals and Notes by James Cook, Joseph Banks, and Sidney Parkinson. Aboriginal rafts and canoes, from 1770. Images of Aboriginal rafts and canoes. 1788 Watkin Tench: Aboriginals of Port Jackson. 1788 William Bradley: Eora (Aboriginal) Canoes at Spring Cove. Extract from The Ladies Kept Their Distance, in Tim Flannery: The Birth of Sydney, Melbourne, 1999. 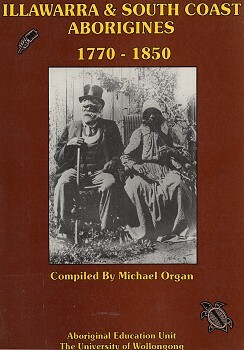 Extracts from A Documentary History of the South Coast Aborigines, 1770 - 1850, Wollongong University, 1990. 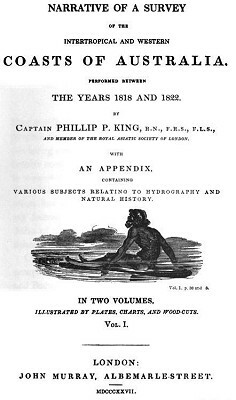 1818 Phillip Parker King: Aboriginal Rafts and Canoes. 1826 Dumont d'Urville: Voyage of the Astrolabe. 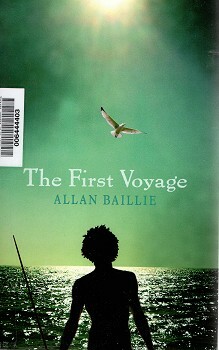 Descriptions and illustrations from Two Voyages to the South Seas, translated by Helen Rosenman, Melbourne University Press, 1987. 1834 George Augustus Robinson: Swimming and Catamarans, Tasmania. Emily Caswell: Aboriginals at Port Stevens,1841. 1850 McGillvray and Brierly: Catamarans, New Guinea. 1862 SMH Correspondents: Canoes in Australia. 1899 Henry Ling Roth: Rafts, Canoes and Swimming, Tasmania. Extract from The Aborigines of Tasmania, F. King & Sons, England, 1899. 1935 D.S. Davidson: Chronology of Australian Watercraft. 1946 James Hornell: Swimming Floats and Rafts. Extracts and illustrations from Water Transport - Origins and Early Evolution, CUP, Cambridge,1946, pages 1 to 4. 1972 Robert Edwards: Aboriginal Rafts and Canoes. 1981 Sean McGrail : Rafts, Canoes and Boats. 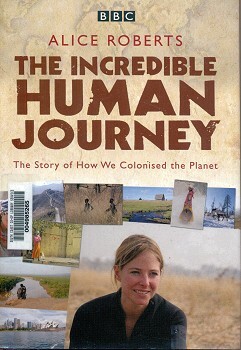 2005 Debora Smith (Science Editor): Earth's first beachcombers ended up in Australia. Reporting research developments published in Science, 13 May 2005 in SMH, Weekend Edition, May 14-15, 2005, page 13. 2000 Rupert Gerritsen: Aboriginal Fish Hooks in Southern Australia. 2005 Andrew Long: Aboriginal Scarred Trees in NSW. NSW Office of Environment and Conservation, 2005. 2007 Martin Thomas (ed): Culture in Translation-The Anthropological Legacy of R.H. Mathews. The canoe was constructed in eight hours – following clear directions provided by Maritime Architect Davis Payne from the National Maritime Museum, and contemporary marine artist James Dodd who had constructed two canoes in 2010. The Siteworks bark canoe was made from traditional materials (with a little help from a Bunnings vice), including string from the stringybark tree and beeswax and resin from the grass tree. It was then launched as part of Siteworks 2011 on the Shoalhaven River. A Summary of Historical and Contemporary Documentation in making a Koorong Paper presented at Wurundjeri Tribe Council, Koorong Committee Workshop, May 2012. Chapter 6, in Peterson and Rigsby: Customary Marine Tenure in Australia, University of Sydney (1998). Keith Vincent Smith: Mari nawi ("big canoes"): Aboriginal voyagers in Australia's maritime history, 1788-1855. PhD. Thesis, Macquarie University, Australia, 2008. Aboriginal People and Cultural Life. This work is only included here only for the opportunity to firmly suggest that, even with the wide latitude usually accorded to works of fiction, it should be avoided. 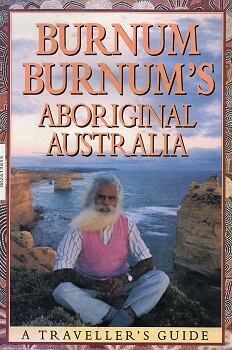 Burnum Burnum's Aboriginal Australia : A Traveller's Guide. Angus &​ Robertson, North Ryde, 1988. 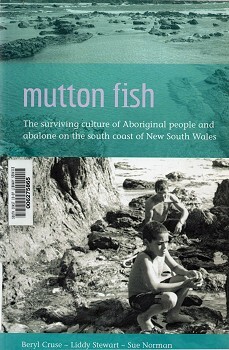 Mutton fish: the surviving culture of Aboriginal people and abalone on the south coast of New South Wales. 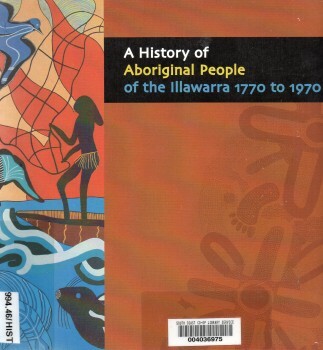 Aboriginal Studies Press, Canberra, 2005. James and John Knapton, Crown in St. Paul's Church-Yard, London. 1729. The Chronology of Australian Watercraft. Thomas Avery &​ Sons, New Plymouth, New Zealand, 1935. 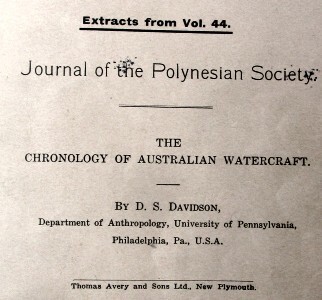 Davidson, D. S.: The Chronology of Australian Watercraft. New Plymouth, New Zealand, XLIV, No. 1, 1935, pages 1-16, 69-84, and 137-153. 1932 D.S. Davidson: Chronology of Australian Watercraft. Chapter VIII: Westernport to Port Jackson and Sojorn in that Port. Dumont d'Urville : Voyage of the Astrolabe, 1826. 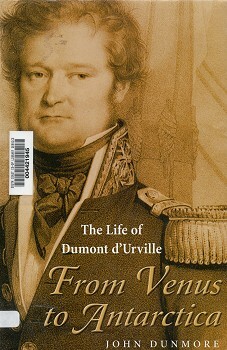 Dunmore, John: From Venus to Antarctica : the life of Dumont D'Urville. Exisle Publishing, Auckland, New Zealand, 2007. 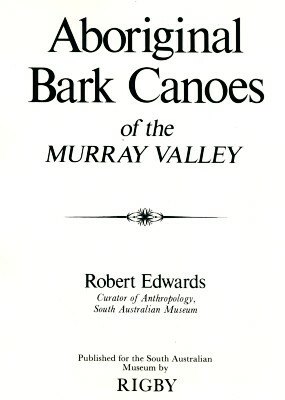 Edwards, Robert: Aboriginal Bark Canoes of the Murray Valley. South Australian Museum, Rigby, 1972. 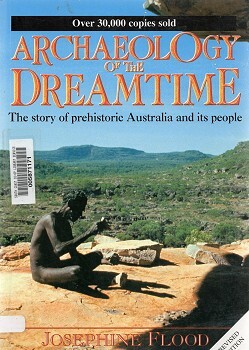 Archaeology of the Dreamtime : the story of prehistoric Australia and its people. 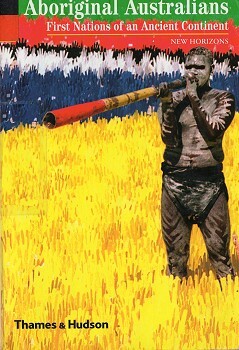 Collins, Sydney, revised edition 2004 (first published 1983). 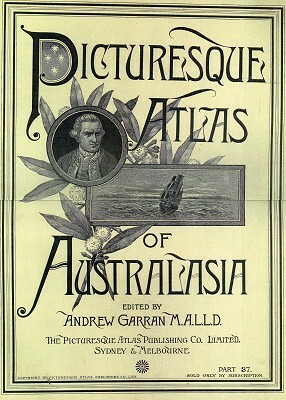 Picturesque Atlas Publishing Company, Sydney, 1886-1888. Illustrated under the supervision of Frederic B. Schell, assisted by leading colonial and American artists. With over eight hundred engravings on wood. Published to coincide with celebrations of the centennial (1788-1888), Picturesque Atlas of Australasia was one of the most significant cultural projects in 19th-century Australia. The project was the initiated by an American company, who established a separate publishing house, hence the contribution of "leading ... American artists." The book was prepared by a host of writers, artists, academics, and politicians and the 1100+ engravings on steel and wood were among the finest quality engravings produced anywhere at this time. George Grady, New York, 1943. 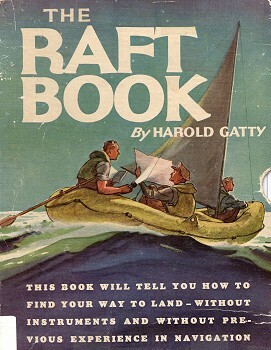 1943 Harold Gatty: The Raft Book. Horden, Marsden: King of the Australian Coast. 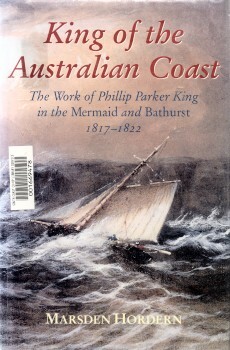 The Work of Phillip Parker King in the Mermaid and Bathurst, 1817-1822. 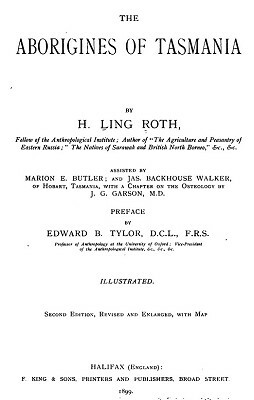 Narrative of the voyage of H.M.S. Rattlesnake, commanded by the late Captain Owen Stanley, during the years 1846-1850 : including discoveries and surveys in New Guinea, the Louisiade Archipelago, etc. ; to which is added the account of Mr. E. B. Kennedy's expedition for the exploration of the Cape York Peninsula / published under the sanction of the Lords Commissioners of the Admiralty. T. and W. Boone, London, 1852, Volume 1. 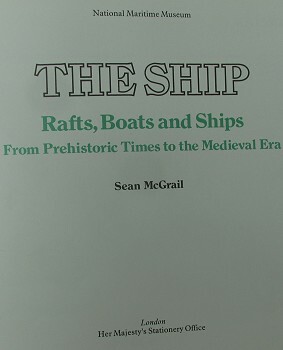 Rafts, Boats and Ships - From Prehistoric Times to the Medieval Era. Martin James: Explorations in North-Western Australia. Communicated by the Governor of Western Australia, through the Colonial Office. www.googlebooks- Ned Overton, May 2014. Thames and Hudson, London, 2004. Penguin Books, Harmondsworth, England ; Ringwood, Victoria, 1975. Aboriginal Education Unit Wollongong University, 1990. Oxley, John: Journals of two expeditions into the interior of New South Wales, London. 1820, pages 332-333. Rienits, Rex and Thea: The Voyages of Captain Cook, Paul Hamlyn, London, Sydney, 1968. Roberts, Kenneth G., Shackleton, Philip:The Canoe - A History of the Craft from Panama to the Arctic. MacMillan of Canada, Toronto, 1983. 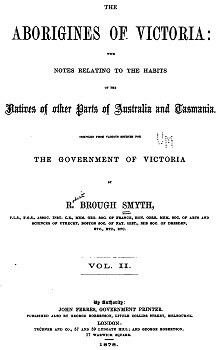 The Aborigines of Victoria: With Notes Relating to the Habits of the Natives . 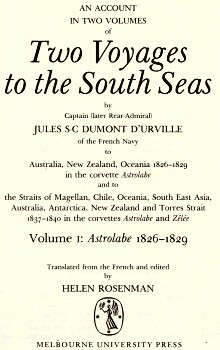 Discoveries in Australia, with an account of the coasts and rivers explored and surveyed during the voyage of H.M.S. 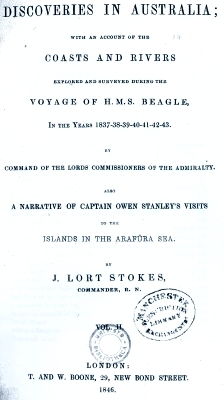 Beagle in the years 1837-38-39-40-41-42-43, by command of the Lords Commissioners of the Admiralty: also, a Narrative of Captain Owen Stanley's visits to the islands in the Arafura Sea. 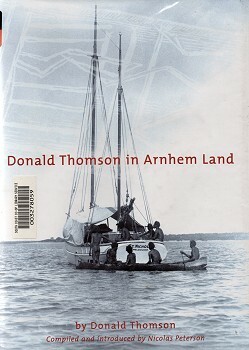 Thomas, N. W.: Australian Canoes and Rafts. Based on a report by Kate Gahan, 2004. Department of the Environment and Conservation, NSW, 2005. The Arrernte word Awelye, from Central Australia, describes the interrelationship of everything; plant, animal, earth and language. Aboriginal knowledge about: plants, animals, non-living things, spirit, economy, aesthetics, kin, responsibility, and journeying bind categories of information with one another. In other words nothing can be considered in isolation. By contrast, non-indigenous knowledge structures involve the separation of information into ever smaller parts for detailed examination. Ida Lee (Mrs. Charles Bruce Marriott: The Coming of the British to Australia 1788 to 1829. Many thanks to Dr Nicholas H. de Jong. Robinson, L.: Field Guide to Native Plants of Sydney, Kangaroo Press, 1991. Fuller, L.: Native Trees of Central Illawarra, Weston & Co., 1985. Kevin Mills: The Natural Vegetation of the Jervis Bay Region of New South Wales, UOW, Wollongong, 1993. Kevin Mills: The Natural Vegetation of the Jervis Bay Region of New South Wales, UOW, Department of Geography, . 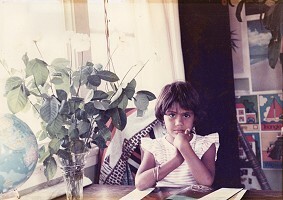 This work is dedicated to Bulpinda Munnungurr, photograph by Julie Whalen,1984. Geoff Cater (2013-2014) : Traditional Water Craft of the Australian Aboriginals, 50,000 bp.